Is Product Owner part of the team? When you ask this question in the companies, you find out that about 30% of teams believe that he or she is not. If you ask why not, you find out that they feel their Product Owners are far away from them, they don’t help them, and they don’t understand them. And I’m not talking about physical distance now. So where is the problem? In many companies, at the beginning of their Agile transformation, they simply move team to Scrum and the Product Managers to Product Owners. What happens? They don’t have a time to be Product Owners as they are responsible for several huge products. Luckily they understand the product, but they have no time to share their understanding at any higher granularity than general ideas or epics. And that’s indeed not enough. Such teams are having a Product Owner Proxy, or Tactical Product Owner who is in reality acting like real Product Owner and don’t miss their business Product Owner. Why is that usually not good? We are missing the “one PO voice” and we are losing the business driven approach in favor of technical point of view. In such environments we are as well missing the push to “maximize work not done”, which is one of the Agile Manifesto principles. That is indeed not good for either team or product. Then we have about 50% of companies where they believe the Product Owner is part of the team, but he is not responsible for writing User Stories. Why not? Usually because he or she doesn’t understand the technical aspects, so how can he possibly do that? They usually don’t invite him or her to the retrospective either, because… well… he is a team, but retrospective is for development team only. So it’s kind of unclear. The remaining 20% take their Product Owner as their member. They invite him to the retrospective, they trust each other. If that’s possible, they sit together. If not, they speak with each other often. Such Product Owner relationship is very helpful. Not only for your team, but the product as well. 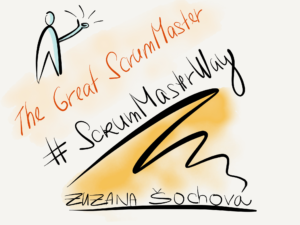 Author Zuzi SochovaPosted on 16/10/2014 Categories Agile and LeanTags agile, Product Owner, Scrum, team1 Comment on Is Product Owner part of the team? Linda Rising is the person I like; no matter what the topic is it’s always one of the best talks. This time she starts a conference with a keynote The Power of the Agile Mindset. Are you bored or struggling with estimates? Then Vasco Duarte will share with you his thoughts about #NoEstimates. This year we have several speakers talking about scaling Agile and Scrum. One of the keynotes are from Dean Leffingwell and Scaled Agile Framework (SAFe). We have speakers talking about Agile Architecture, Kevlin Henney is having a pre-conference tutorial on that topic. We have several speakers sharing their experiences about development, testing and practical case-studies. 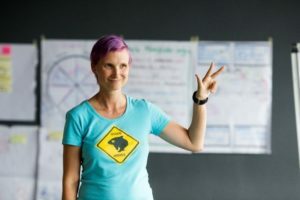 And last but not least, we have several short workshops in the afternoons, for example my workshop – Coaching starter for Scrum Masters, a networking party where you can discuss and meet other people and an open jam session where you can share ideas. See more details about speakers and talks.